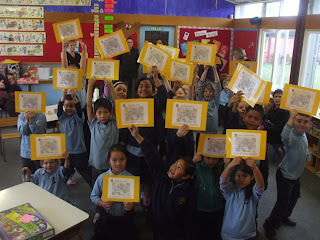 On Wednesday the Literacy Boost Programme invited parents along to a celebration of their children's learning. Twenty three children had been involved in the programme which ran for 10 weeks, and was aimed at boosting letter knowledge and letter sounds. 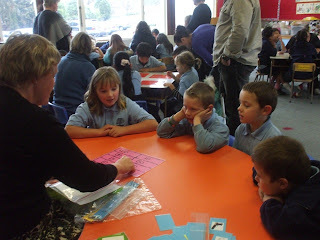 The children met three times a week for 45 minutes each session to learn and practise a variety of skills. At the celebration the children displayed these skills to the many parents who attended. 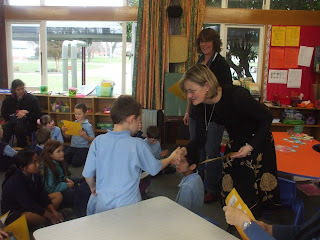 Each child was rewarded with a certificate of congratulations which was presented by Ms Meachen. The celebrations were finished off with fruit kebabs for the children and tea and coffee for the adults.